Morning, our car will pick you up & then proceed for full day sightseeing tour of Delhi. Delhi is a city that bridges two different worlds. Old Delhi, once the capital of Islamic India, is a labyrinth of narrow lanes lined with crumbling havelis and formidable mosques. In contrast, the new capital, designed by Sir Edward Lutyens is composed of spacious, tree-lined avenues and imposing government buildings. Delhi has been the seat of power of a number of dynasties – the Rajputs, the Afghans, the Turks and the Mughals who continued their imperial line until the British. 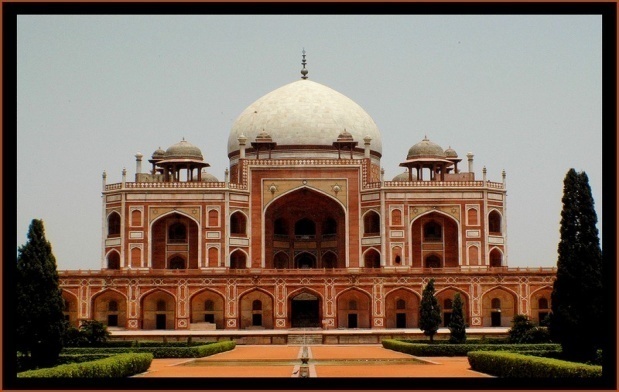 Visit Delhi Haat, Humayun’s Tomb, India gate, Rashtrapati Bhavan, Red fort and Cottage Industries Exposition (CIE). Dilli Haat is an open-air food plaza and cradia, and from a variety of cultural traditions of India. 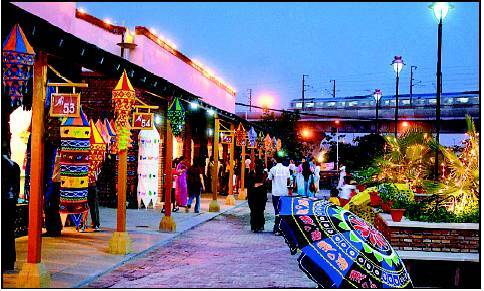 Unlike the traditional weekly market, the village Haat, Dilli Haat is permanent. It is located in the commercial centers of South Delhi, opposite INA market. The 6 acres of land on which this complex is situated was salvaged as part of a reclamation project and transformed into a plaza. Extensive foundation work, small thatched roof cottages and kiosks give the plaza a village atmosphere. Some shops are permanent but other sellers are rotated, usually for fifteen days. Products offered may include rosewood and sandalwood carvings, embellished camel hide footwear, sophisticated fabric and drapery, gems, beads, brassware, metal crafts, and silk and wool fabrics. A number of shows promoting handicrafts and handlooms are held at the exhibition hall in the complex. To sell wares, there is an application process and spaces are allocated according to which state the seller is from. In all, Dilli Haat, INA Market has 62 stalls allotted on a rotational basis to craftsmen a payment of INR 100 per day for a maximum period of 15 Days. A shopping complex with a treasure of authentic crafts and cuisines. It is arguably the best place to buy handicrafts in Delhi. Ladies can shop at various places in and around Delhi. 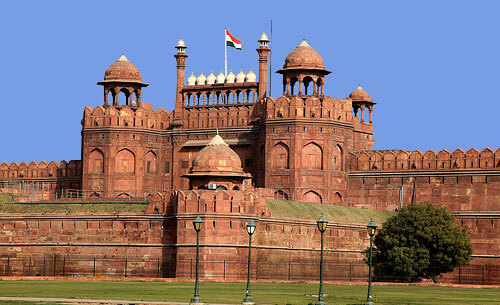 Red Fort (Closed on Monday), constructed by Shah Jahan, was built as the fortified palace of Shahjahanabad, capital of the fifth Mughal Emperor Shah Jahan in 1648. Named for its massive enclosing walls of red sandstone, it raises 33-m above the clamour of Old Delhi as a reminder of the magnificent power and pomp of the Mughal emperors. The main gate, Lahore Gate, is one of the emotional and symbolic focal points of the modern Indian nation and attracts a major crowd on each Independence Day. Enroute lunch at Broad way Restaurant/Similar. Now drive past the Presidential Palace, Rashtrapati Bhavan and the secretariat buildings - the centre of all government activity and down the main avenue, on the impressive Rajpath to the World War I memorial arch, the India Gate. 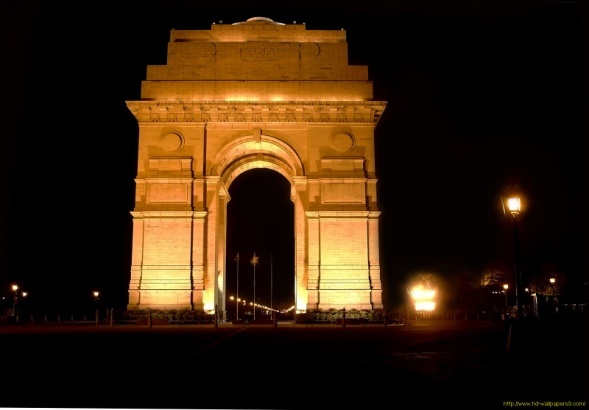 India Gate, a 42 m-high archway stands tall at the centre of New Delhi. It commemorates the 70,000 Indian soldiers who lost their lives fighting for the British Army during the World War I. Another memorial, Amar Jawan Jyoti was added much later, after India got its independence. The eternal flame burns day and night under the arch to remind the nation of soldiers who laid down their lives in the Indo-Pakistan War of December 1971. Humayun’s Tomb built in 1565 A.D, nine years after the death of Humayun, by his senior widow Haji Begum. The most notable features are the garden squares (chaharbagh) with pathways water channels, centrally located well proportional mausoleum topped by double dome. 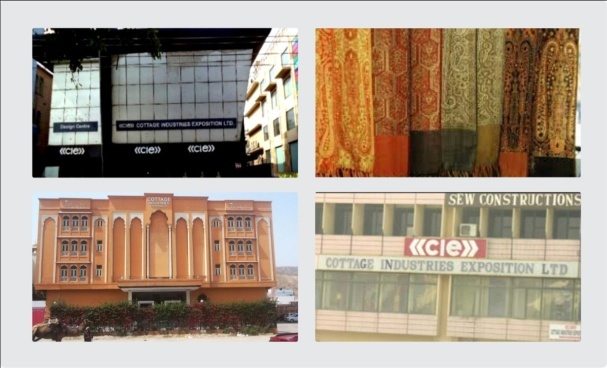 Later visit to Cottage Industries Exposition (CIE) is a multinational company that sells carpets, handicrafts and other heritage items from India and the Middle East. Cottage Industries Exposition Ltd was established in1978 as an export-trading house.Beyond the Indian shores, this concern for heritage is sustained by establishing emporia in Thailand, Mauritius, Indonesia, Cambodia, Africa, the Middle East, United Kingdom and the United States provide an opportunity not only to view and share the Indian heritage from the days gone by but also provide an opportunity to purchase items such as carpets, Pashmina shawls, silk, gilded artifacts, reproductions of Islamic art and miniatures. Bill Clinton, Madeline Albright, Carl Lewis, Bill Gates, Madonna & Paul McCartney have all been CIE clients. Evening after sightseeing, our car will drop you at your Hotel. • All transfers, sightseeing tour, land transportation using AC Indigo for 1-2 Pax and AC Innova for 3-4 pax. • Entrance fee at all monuments as per program. • 01 water bottle in the car. • Any personal expenses - telephone calls, laundry, shopping, table drinks etc.